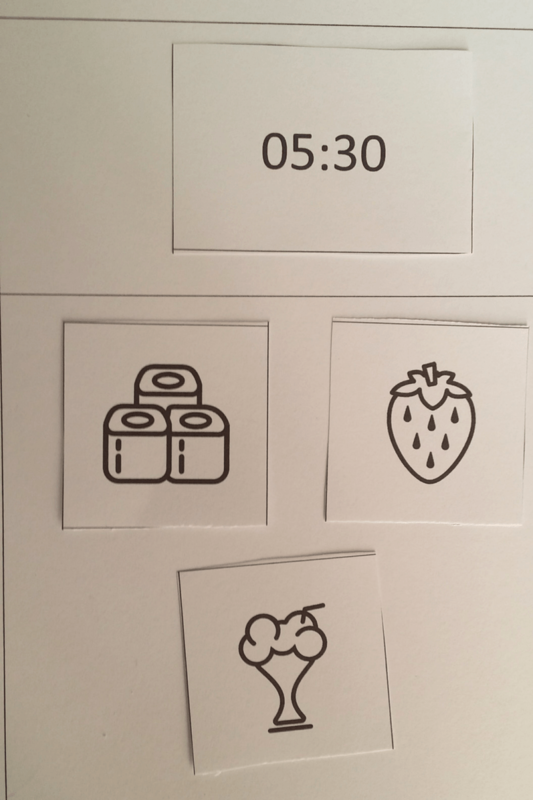 I’ve talked quite a bit about how important visual schedules are for non-verbal autistic children. They have been huge for my autistic daughter. And I only wish that I’d developed something sooner to help my non-verbal autistic child make meal time choices. While she does have some food aversions, I have been incredibly fortunate that she doesn’t have many food allergies or sensitivities. 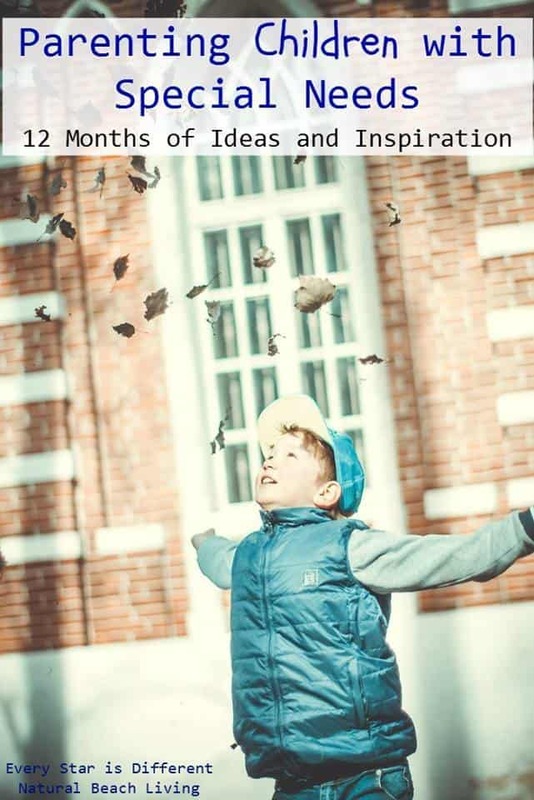 If you are the parent of a child with special needs, I invite you to take a look at my resources and encouragement for special needs parents. While my daughter has a relatively set time for when she has breakfast and dinner, sometimes it can vary. For her sake, I do try to keep things on time. It helps with predictability and routines help make everyone’s lives a little bit easier. Still, I know that visual schedules have helped her in other areas so I really had to wonder how it would help her at meal time. She eats almost the same thing every evening: Chicken Alfredo (Compleats brand), and a salad of Kale & grape tomatoes. Before going to bed, she has two bananas (sliced into bite sized pieces). And in the morning, she has one apple (sliced) after having a yogurt. Her lunch is also the same. To the point where I think she could help me with making her lunch. Eventually, I’d like to involve her in more steps of her meal preparation. I feel that this will greatly help with increasing her independence. One way that I can possibly facilitate this process, is by providing her with a meal time visual schedule to hang in the kitchen. 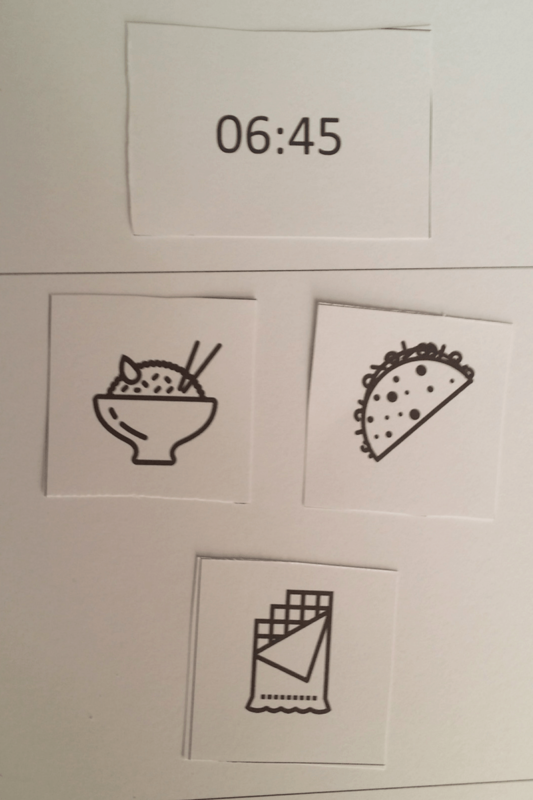 Grab your Time to Eat Visual Schedule when you access my Visual Schedule Toolkit! This is a very simple starter set and is by far complete in terms of food choices. The time choices go from 12:00 to 11:45 in 15 minute increments. And I have also tried my best to include correct military time. As noted already, the food choices are far from complete. However, there are a few fun choices like tacos and sushi. 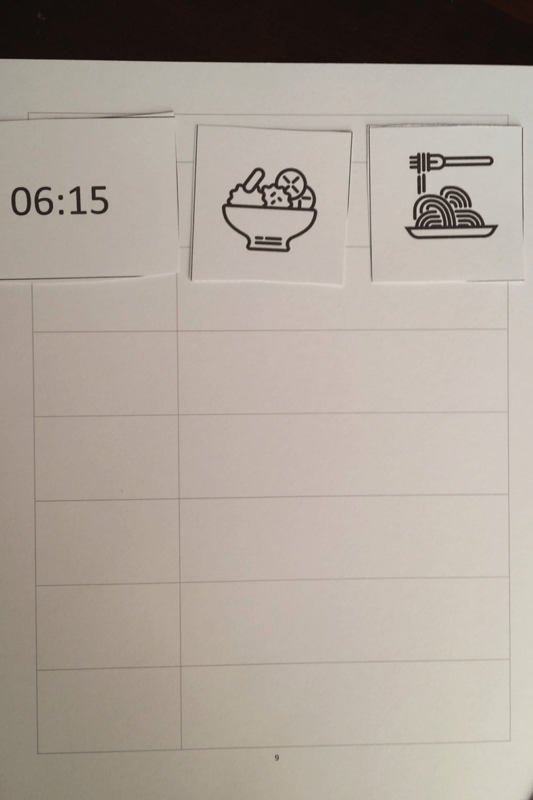 The two part chart has an area at the top for the time display while the larger secondary area can hold several of the food choice cards. I did print these out on cardstock though I did not laminate them. When I assemble this completely for my daughter, I’ll laminate them and also use Velcoins. You can also use this alongside My Personal Schedule printable pack. While not an exact match, size wise, you can still use it functionally. 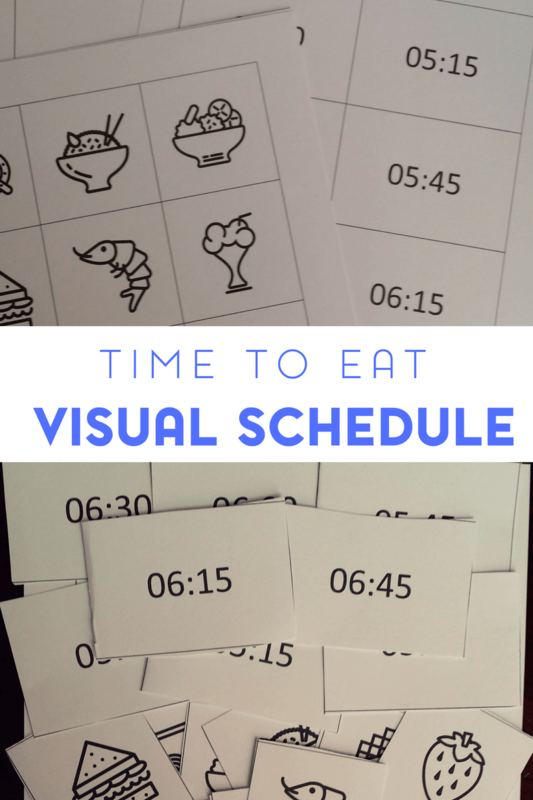 Don’t forget to grab your Time to Eat Visual Schedule when you access my Visual Schedule Toolkit! 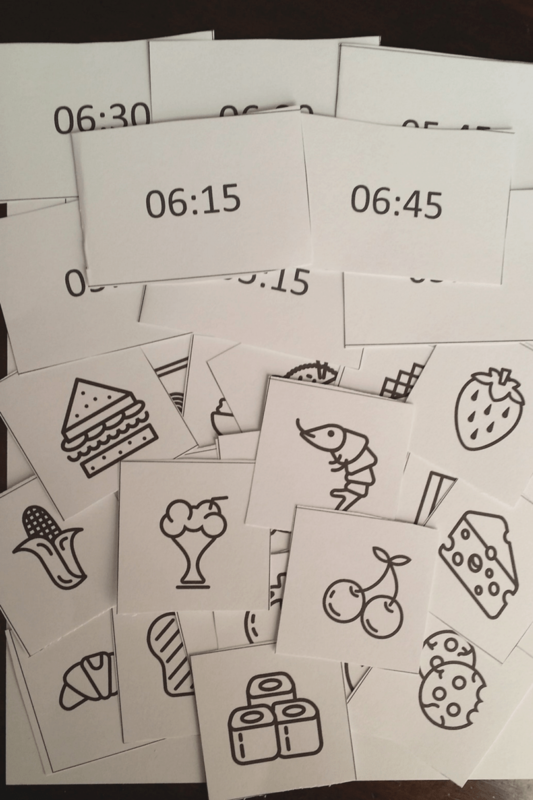 How to Help a Non Verbal Autistic Child at Make Meal Time Choices| Kori at Home <— You are here! x Things SPD Parents Secretly Wish You Knew About Their "Picky Eater"